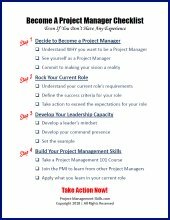 To be an effective project manager, you need a basic set of personal time management tools and techniques at your disposal. When you are leading a project, you will have many demands on your time. From coordinating activities to helping resolve conflicts between team members, it will seem like there are too many things to do and not enough time to get them done. Using these three time management techniques and tools will give you a solid foundation to build your own personal time management system. To be an effective project manager, you need to make sure the actions you are responsible for get done. If you make a habit of overlooking or forgetting to do some actions, people in your organization will begin to lose confidence in you. One of the simplest yet most effective tools you can use to make sure you stay on top of your tasks is the To Do List. Your To Do List should capture ALL actions that you need to take in the near- to mid-term to meet your commitments and goals. There are different ways that you can structure and organize your To Do List. Most managers sort their list by Due Date or Task Priority. But the main point is to make sure you are using one. The Weekly Review is a powerful way to effectively manage your time. It allows you to review all of the actions you need to take and then identify those that are more important and should be prioritized. During your Weekly Review you should update your To Do List as necessary. Then go through your list and decide which activities you need to focus on this week. It's important that you don't select too many tasks. If you select too many tasks you will end up unfocused and most likely won't be able to complete them all. Performing a Weekly Review will help make sure you focus some of your time on important tasks. Otherwise, it's very easy to keep busy on so called urgent tasks or end up just wasting time. The final step in this system is to use a technique called Time Blocking. Once you've identified your important, MUST DO tasks during your Weekly Review, you should block off some time in your calendar to focus on each individual task. You are essentially scheduling time with yourself to complete these important tasks. When blocking off time to complete your tasks, make sure to leave openings in your calendar to handle unexpected interruptions such as those urgent tasks that come up or when a team member stops by to discuss the project with you. Using the time management tools and techniques in this simple 3-step system can help you become a more productive and effective project manager. You can find more tips on time management techniques and tools below. 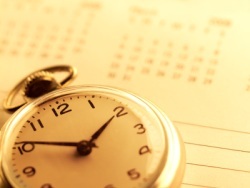 Successful project managers understand the importance of time management. The tools and techniques of a time management system can make you more productive, have more personal time, and be healthier.